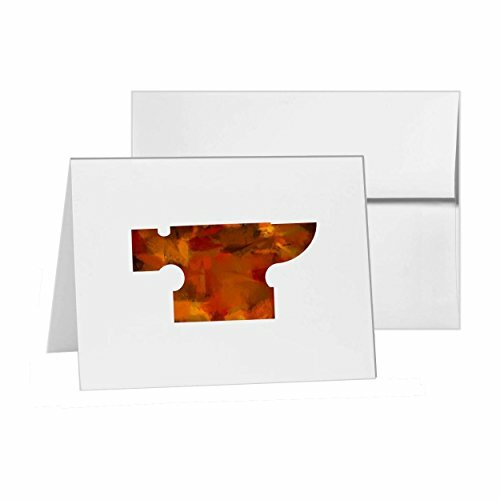 These creative trendy note cards are 5 1/2 x 4 folded, printed on 90 lb white cover stock, made and ships from the USA. They are scored for easy folding and mail with standard postage. Plain white envelopes are included. Cards are blank inside and can be printed on, envelopes are not personalized. The card pack contains 15 thank you note cards. Great for sending a note to family and friends or birthdays, special occasions, or to say thank you. These note cards are great for accessorizing gifts.